Since the serious traffic jam often causes me two hours to go to work, I start to ride Fosjoas V6 single-wheeled electric scooter. From then on, it has become my commuting transport on workdays and exercise tool after work. Generally speaking, I ride Fosjoas V6 single-wheeled electric scooter for one hour every day. I have used it for almost one year and today I find that I am 10 pounds thinner than a year ago. What is more, I feel that my whole body is full of energy. 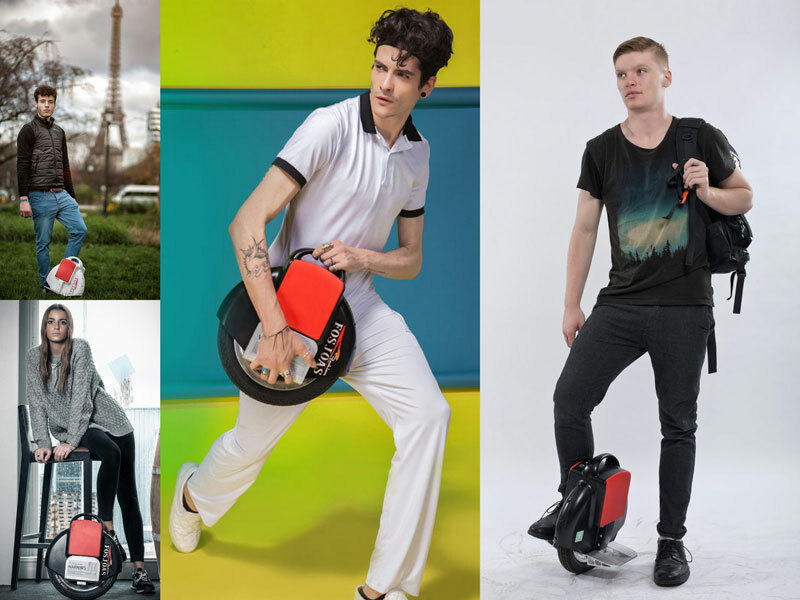 All of them are profited from Fosjoas V6 single-wheeled electric scooter. One-hour riding won’t make me feel exhausted at all. On the contrary, it is very enjoyable and interesting. Fosjoas V6 electric unicycle doesn’t cost me too much strength during riding, but needs me to adjust my body gravity. If I want to speed up, I just need to incline my body forward, while if I incline backward, it will slow down automatically. Similarly, if I turn my body to left or right, it will change its direction. During riding, although I don’t spend too much physical strength, my whole body, including waist, arms, legs, neck and back, gets exercised, which is like strength training. Gradually, my four limbs and waist are obviously slenderer than before. What is more, my sore neck and back that are caused by long-time work are totally cured. I believe Fosjoas V6 electric unicycle helps a lot. Traffic jam is really a serious social problem, which wastes too much time of people. Since I apply Fosjoas V6 electric one wheel to my life, I have much more time. I have time to take exercise after supper, I have time to drink coffee with friends and I have time to accompany my parents. For me, Fosjoas V6 one-wheeled electric scooter is more than a tool, but a life partner.